DSD file created by Gus Skinas from the original DSD audio used to create the existing SACD. 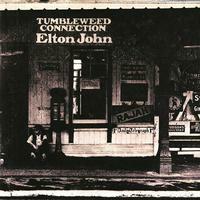 Elton John’s concept album about the Wild West is a masterpiece. The music is influenced by country and blues and highlights include "Ballad of a Well-Known Gun," "Country Comfort," "Burn Down The Mission" and "Amoreena."